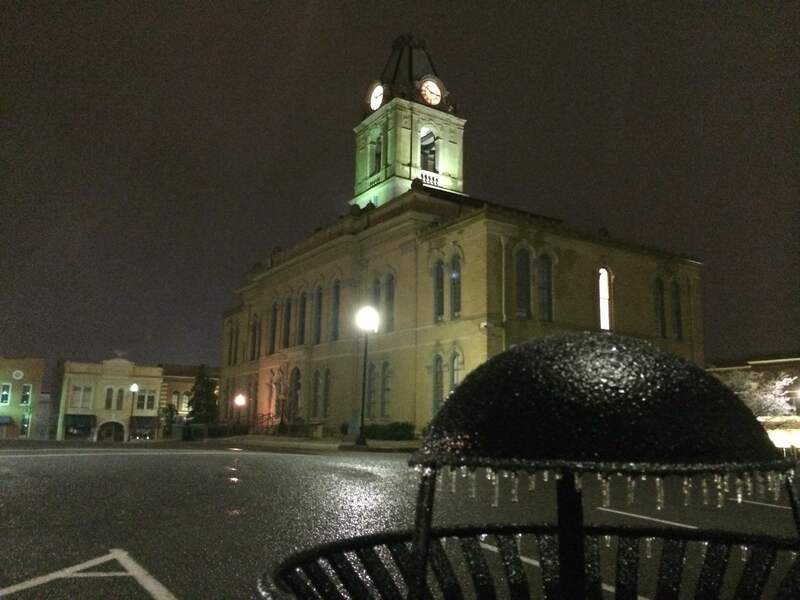 UPDATE: 12:00PM Monday, County Mayor Howard Bradley Addresses Community Amidst Ice Storm. Scroll down for More info and photos. REFRESH THIS PAGE FOR UPDATES..
ROBERTSON COUNTY TENNESSEE: (Smokey Barn News) – Road conditions are very poor, many companies are closing today due to the cold icy weather so be sure to call ahead before you attempt to travel. We have many trees and power lines down. We have come down off our peak of 8,000 homes without power but Pleasant View is still largely without power. Crews are working to restore power but the road conditions are slowing efforts. If you don’t have to travel please don’t. Rankin Fabrication Inc. will be closed Monday, March 3, 2014 due to inclement weather. Greenbrier Kids Connection is closed today. Plummer Health & Wellness will be closed Monday due to weather. The Potting Shed Florist in Greenbrier will be closed today. The regularly scheduled March School Board meeting for the Robertson County School System that was scheduled for tonight (march 3) has been rescheduled for March 4th at 7:00PM at the central office. “The Health Kick” On Memorial Blvd – Our #1 priority is always the health and safety of not only our staff but that of our customers with this in mind we have decided it is best to close the store down for the day. Firehouse Sports Bar – Due to the weather, we will not be open today. None of us could get to town safely. Stay safe and warm. Adams City Hall will be closed today due to bad road conditions. Be safe and stay home if at all possible. Burdett’s Tea Shop will be closed today. Due to the inclement weather and in the interest of safety, Robertson County Juvenile Court is closed today and tomorrow morning, March 4, 2014, and all child support docket cases set for 9:00 a.m. will be reset by the child support office. Any question can be assisted on Wednesday, March 5, 2014, by calling the child support office at 382-2433. The afternoon Juvenile Court docket for tomorrow, March 4, 2014 at 1:30 p.m. remains scheduled and closure will be determined later and posted on SmokeyBarn. General Session Court Is Closed today but is still set to be OPEN all day tomorrow Tuesday March 4. If we get word on any changes we will let you know. 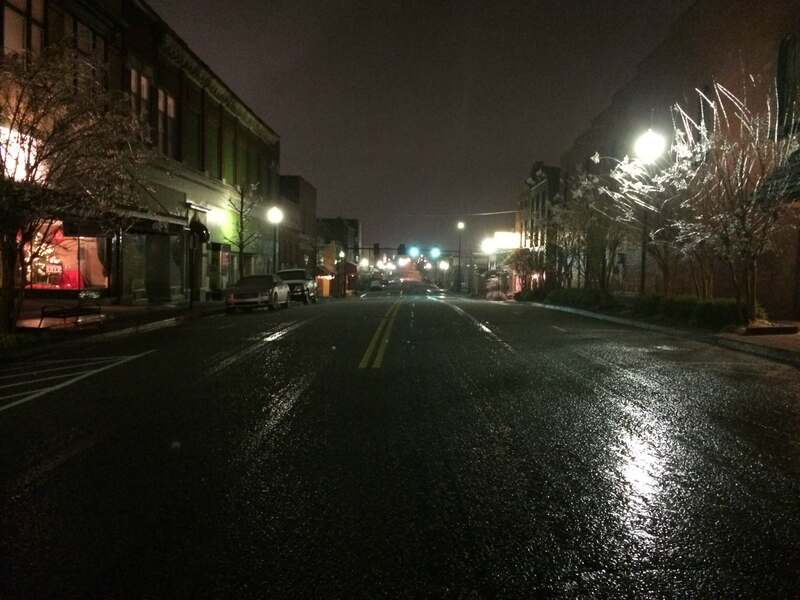 We are getting reports of trees and power lines down all across the county. No major reports of damage. 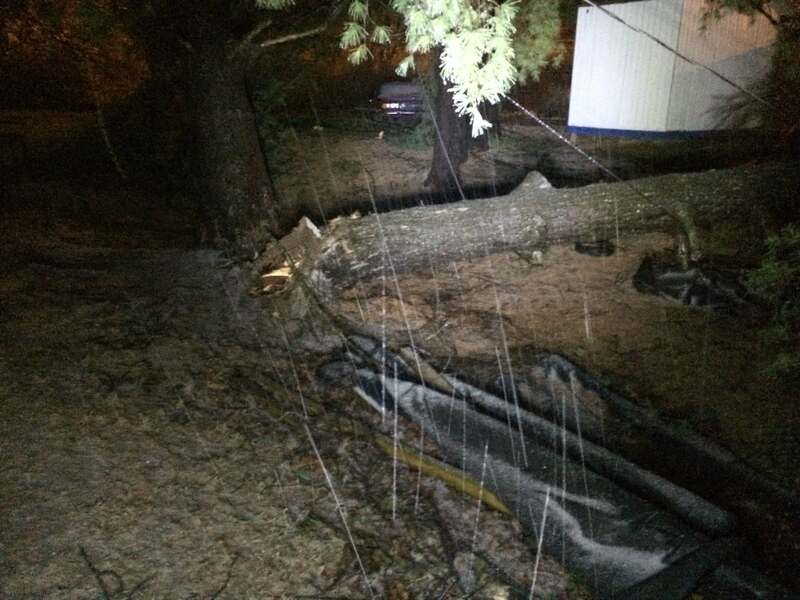 We do have a tree down on a home in Springfield (See photo below) and the roads are very icy. To see more photos and monitor Facebook comments click here. 12:23AM Monday READER PHOTOS ADDED click here. 12:55AM Total CEMC costumers without power has doubled in the last hour. Current number is 2499. UPDATE 1:55 AM Costumers without power now 5335. 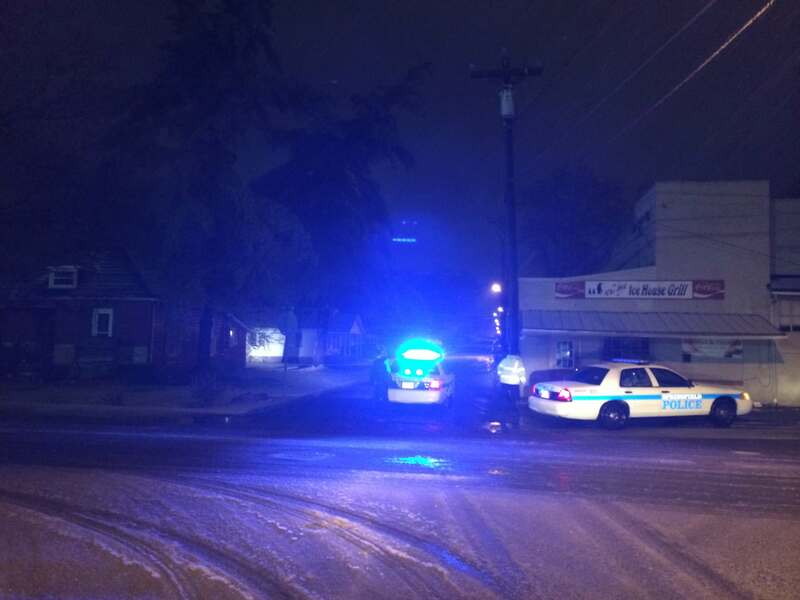 Police are saying that the roads are very slick and dangerous. 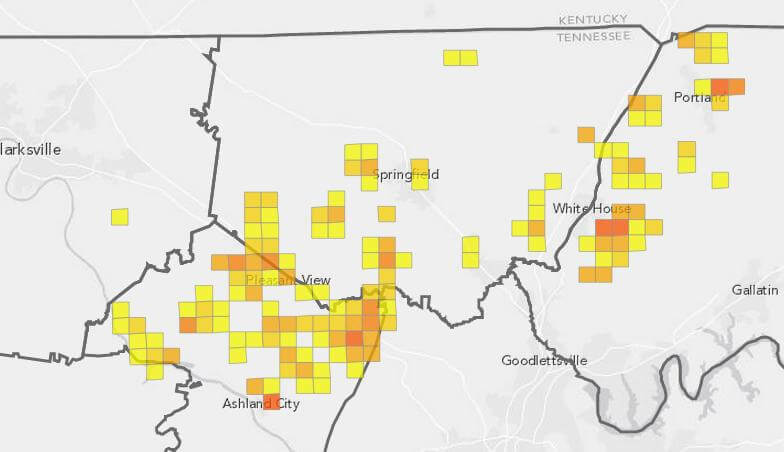 2:26AM Monday: Total Members Without Power almost doubles again: New total 8559 customers without power. See maps below. Remember, with the ice storm even stepping outside can be dangerous. 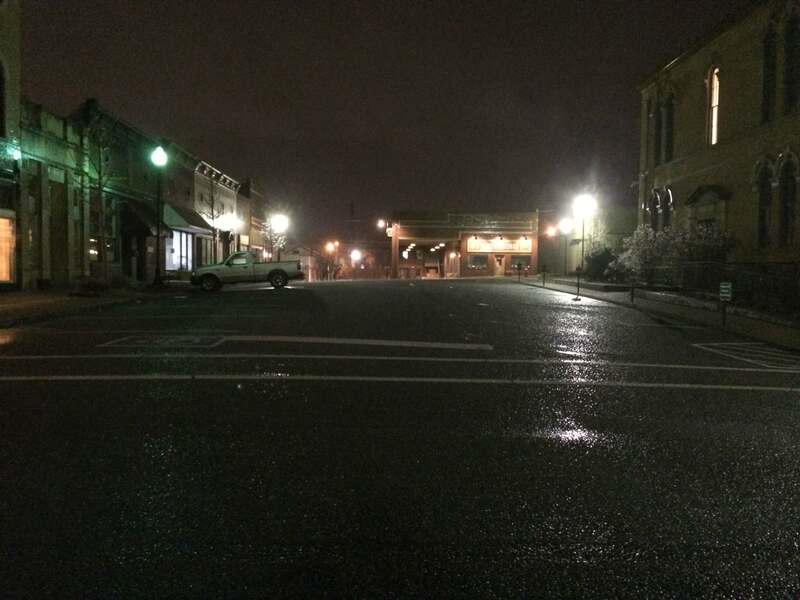 Things are improving but Ashland and Pleasant View customers are still without power. 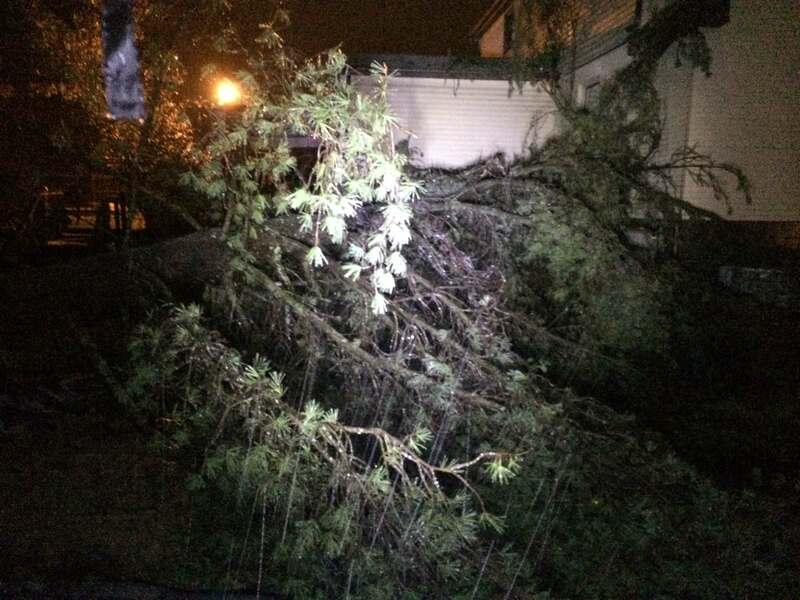 Lori Calvert of Ridgetop says Barwood has been out since 7:30PM, lynn circle is out and part of lennox is without power. 257 by the park is barricaded off by police and traffic is being routed thrugh Lynn Circle and all lights out there too. UPDATE 1:11AM Power back on at Barwood Rd. Do you have power? Please report your general location. Power has FINALLY been restored on the Robertson/Cheatham County line. We’re at the southern edge of Coopertown and Robertson County and lost power at 12:58am and had it restored at 4:16pm today. Does anyone know if Smiley Hollow/Betts road area to 41 is passable. We have to get out today. I live in Clarksville and work in Springfield, what about the roads on I24 and hwy 49..I am suppose to work this morning and get off at 7pm.. should I try to go?